Hydrogenation, the process used to make liquid oils solid at room temperature, made possible a shift from animal fat to vegetable fat as a substitute for butter. The resulting product — which may be blended with other milk products or animal fats (such as lard or tallow) and salt for taste — is margarine. It has been used as a butter substitute since the late 19th century. Sometimes it is referred to as oleomargarine or oleo. Oleo means oil and refers to the vegetable oil base of margarine. Like butter, regular margarine is about 80 percent fat (actually, law requires this percentage of fat for the product to be labeled margarine) and has the same number of calories. One tablespoon contains about 100 calories and 11 grams of fat. Salted or unsalted margarine — As the name suggests, salt has been added for flavoring or left out. Reduced-fat or nonfat margarine — These products contain 25 to 65 percent less fat than regular margarine. To reduce fat levels, modified margarines and spreads are created with varying amounts of water and thickening agents, such as gelatin, rice starch, and guar gum. Some margarines even make health claims. Butter-margarine blends — Designed to add butter flavor, these products are usually 40 percent butter and 60 percent margarine. Soft margarine — These margarines are usually made from only vegetable oil and have been processed to stay soft and spreadable when cold. 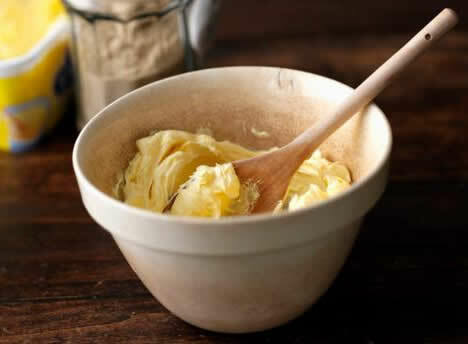 Whipped margarine — This has had air beaten into it, making it fluffy and easy to spread. Liquid margarine — Liquid margarine comes in squeezable bottles, making it convenient for picnics and other events away from home. It is specially blended so that it does not become too thick to squeeze out of the bottle. It is also handy for basting and for foods such as corn on the cob and waffles. For years, margarine was thought to be a much healthier choice than butter because it contains less saturated fat than butter and no cholesterol (because it is not made from animal fat). Although that’s true, margarine is high in trans fats, which also are linked to cardiovascular disease. In addition, margarine is high in calories. Therefore, it should be used in moderation. 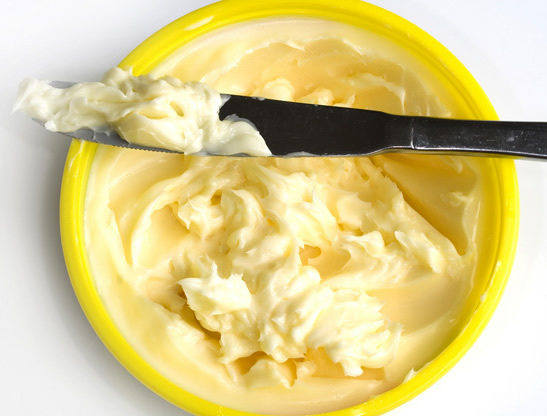 Softer margarines, such as those that are liquid or sold in tubs, are considered a healthier choice than harder “stick” margarines because the hydrogenation process used to make margarine hard adds trans fats to the product. When buying margarine, check the label and avoid products whose labels include these terms: “partially hydrogenated” or “hydrogenated.” Instead, look for margarines whose main ingredient terms include “liquid” oils. Generally, only regular margarine should be used for cooking and baking. Liquid, whipped, or reduced-fat versions of this product burn easily or contain too much water or air for these purposes. Margarine should be stored in the refrigerator and can be frozen for several months. Hard or stick margarine is a good choice for pastries, helping to make crusts light and flaky. It can be used to replace butter in most recipes, although its flavor may not be as rich as that of butter. 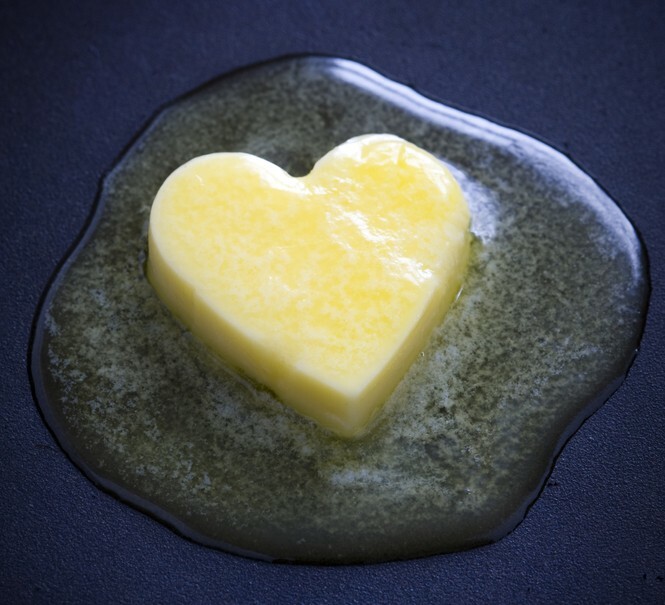 Like butter, this type of margarine has health drawbacks — it is high in calories and trans fats that are linked with heart disease — and should be used in moderation.